Get a $10 Free Calling Card Bonus When You Sign Up for Your Pingo International China Calling Card Today! That’s up to 883 minutes in free calls to friends and family in China! Get dialing. Sign up for your China calling card now! 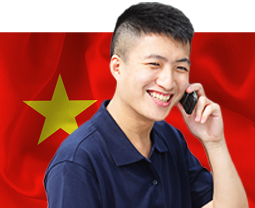 Plus, all Pingo China calling card plans come with exceptional customer support and no hidden fees. *Valid to new customers only that get approved through the verification process. Bonus minutes based on US to landline rate. Pingo provides convenient, high quality international China phone card service with the savings of international China calling cards. Taxes and fees may apply. Calls originating from mobile or payphones in certain countries may be subject to a surcharge. There are no additional fees – just a 98 cents USD per month account maintenance fee. To acquire the PingoChina prepaid calling card service, a valid PayPal account or credit card is required. End your reliance on disposable China calling cards and high priced providers.